It’s Halloween, but for retailers and their suppliers, the truly scary time of year is just getting started: It’s the last mile of the race to the holiday shopping season. Suppliers, vendors and distributors are scrambling to get the last of their shipments delivered timely. Retailers are making sure they have the inventory for the big sales and making contingency plans for missing products. Third-party logistics providers are preparing for the influx of deliveries and shipments. From the warehouses and distribution centers to the pop up shops and brick-and-mortar stores, the retail world is buzzing with preparations for the annual shopping extravaganza. What are they working towards? What are the trends and predictions for the 2017 holiday shopping season? 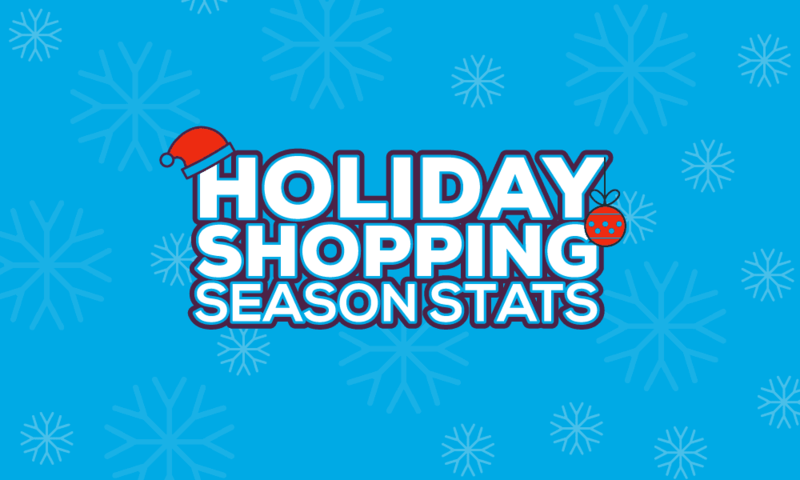 We’ve compiled some of the most intriguing stats and developments here for the biggest shopping season of the year. Stronger holiday sales predicted. In 2016, total sales for the holiday season climbed 3.6 percent, which matched the growth that occurred in 2015, too. For 2017, it’s predicted that retailers could see holiday sales growth of as much as 4.5 percent due to rising disposable personal income and elevated consumer confidence. The death of Black Friday may have also been greatly exaggerated, as consumer spending over the Black Friday weekend is expected to increase by 47 percent compared to 2016. According to RetailMeNot’s survey data, consumers plan to spend an average of $743 this year during the weekend that runs from Black Friday through Cyber Monday. That figure is up from an average of $505 over the same weekend last year. Holiday hiring in-store vs. fulfillment. With retail employment already up, retailers have less need to hire seasonal workers for the holidays. NRF expects retailers to hire between 500,000 and 550,000 temporary workers this holiday season, down from last year’s 575,000. The percentage of fulfillment positions available for the holiday shopping season is growing, with almost 25 percent of Macy’s planned seasonal hiring intended for distribution centers and Amazon alone hiring 120,000 temporary workers across 33 states. Additionally, to help get all those packages to where they need to go, UPS plans to hire 95,000 people while FedEx is planning for 50,000. Online shopping for the win. Total e-commerce sales are expected to increase 18 to 21 percent, according to a recent Deloitte’s survey. More than 55 percent of holiday shoppers will order some gifts online. Meanwhile, only 28 percent of consumers said that department stores would be their top place for holiday shopping – a 4 percent decrease from last year. In fact, this year it’s expected that online sales will surpass store sales, with consumers saying they will spend 51 percent of their holiday shopping budget online, compared to 42 percent in stores. Mobile shopping charges forward. A lot of those online purchases will be made via mobile device this year. Mobile shopping in the United States last holiday season grew 32 percent, and it’s sure to grow more if recent Halloween mobile searches and sales are any indication. One source shows that mobile may have accounted for 75 percent of Halloween shopping searches this year. Predictions for this year say as much as a third of all holiday season shopping orders will be placed from a mobile device. Voice search bubbles up. Remember all those millions of Amazon Echos and Amazon Dots that were sold on Amazon Prime Day 2017? They’re probably going to get a workout this holiday shopping season. In fact, they probably already have. Voice-activated intelligent assistants have likely already been influencing holiday shopping. Think about it: As consumers go about their day, ideas for great gifts could be popping into their heads at any time, and now they have a device that can not only collect them easily in a shopping list, but also order them instantly with a simple voice command. It’ll be interesting to see how voice search statistics shake out for the season, especially with the recent development of the Google Express voice shopping alliance. There have been so many discoveries about consumer behavior and shifts in the retail landscape over the last year or so. Looks like we could be in for a wild ride this holiday shopping season. Is your business ready to meet the demands of today’s consumers? It’s too late to make major changes before this year’s holiday shopping season starts, but you can start planning for a more successful 2018. Find out how our EDI, sourcing, assortment, analytics or other retail technology solutions can help your business stay competitive: Contact an SPS representative today. Now that 2018 is running and 2017 over, it’s time to scale your business or start one. Amazon makes a lot of sense to start with: It’s; less risky and yet proven to be profitable in long run. A lot of sellers are using jungle scout to search for products to sell. My recommendation would be, whenever you want to launch a product, do keyword research instead of product research which will save you money and time as well.